This guide has been updated to include details of the Olympus E-M1X, which has not yet been fully reviewed and could, when tested, change our recommendations. Are you a speed freak? Hungry to photograph anything that goes zoom? Or perhaps you just want to get Sports Illustrated level shots of your child's soccer game. Fortunately, there are a ton of cameras on the market that will help you get the shot. 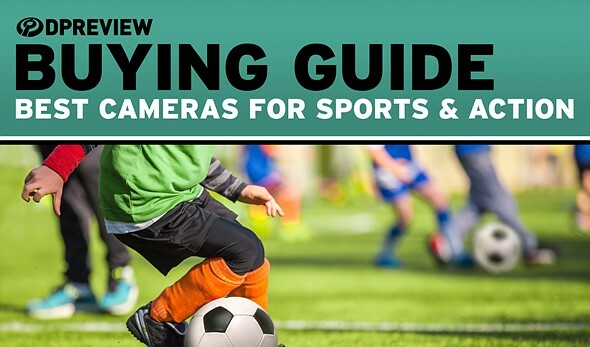 In fact, all of the cameras included in this buying guide could be used to successfully photograph sports or action. When it comes to sports shooting, the D5 is virtually peerless. First and foremost, it offers class-leading autofocus and subject tracking performance, even at its max burst of 12 fps. Oh, and the buffer is nearly unlimited - seriously, it just keeps shooting and shooting, maintaining focus the entire time. Of all the cameras in this guide, only the Canon EOS 1D X Mark II can match the D5's insanely robust build quality and weather-sealing. The same goes for ergonomics: only these two cameras offer built-in vertical grips and secondary shutter releases. This added grip also offers the advantage of making room for a substantially higher capacity battery. The D5 is also one of the most customizable cameras we've ever tested. If you are a sports shooter who sticks to JPEG for maximum card space and/or edit/transfer time, you're covered: JPEG color and quality are quite good, and the same is true of Raw files (though their dynamic range is a tad limited compared to other full-frame Nikon DSLRs). Finally, the camera can even shoot decent-looking 4K video, albeit with a crop factor. The Nikon D500 is essentially a mini D5 with a smaller sensor and no built-in vertical grip. Instead of a full-frame sensor, the D500 uses a 20.9MP APS-C sensor with excellent JPEG and Raw image quality. The AF system and subject tracking capabilities are ripped right from the D5 and as you might have guessed, they're class-leading. The burst shooting performance maxes out at 10 fps, which is still fast enough for just about any subject. It can also shoot decent-looking 4K video. The D500's build quality, while not D5-level, is still very good. The camera is weather-sealed and built to withstand hard use in tough conditions. The D500 is the best APS-C camera we've ever tested and very much worthy of your consideration. We considered all of the cameras below when picking our winner, and even though we think the Nikon D5 and D500 are the best choices for sports and action, all of the cameras on our shortlist are also worthy contenders. If you're not convinced by our recommendations, take a look at the following cameras for a detailed breakdown of their strengths and weaknesses. With lens prices like that I will have to reassess my need for this Camera. You've had the EM1X for a month. Gordon Laing's review was out a fortnight ago or more. Get on with some work..! I think "Cameras for wildlife" deserve to be a separate category. For me the 1. Nikon D850 2. Sony A9 these two should have been on that list for sure. So many people with strong opinions about cameras they have never used !! D5/500/1DXII - heavy mega expensive and noisy flappers which cause eye fatigue due to image shake in the VF, especially noticeable when shooting in continuous mode. Not to mention the blackouts! That moment when you realize the AF tune can't even cover the forth/back focusing of your new 3/4/5k lens, and then brag in the forums how your 3rd copy is now fine! Old technology, that has no future, belongs to the museum! And yet the people who have used all these cameras (unlike you), chose the D5 and D500 as the best. Hmm. Makes me wonder just how much you actually know about this kind of camera. Obviously, not much! I've never heard of anyone complain of eye fatigue when using an optical viewfinder. OS lenses stabilize the viewfinder image, too. By far still one of the best APS-C cameras ever...not just for sports, but I use mine mainly for portraits and reportage...the Canon 7D MKII is IMO equal to the Nikon D500, only advantage I noticed when I borrowed it for one day was that the Nikon had 4K video..."
It's very far from equal to the D500. "to exclude the Canon 7D MKII as"retired" is a joke..."
The camera itself is a joke. DPR, seriously A9 with FE 400/2.8 GM cannot match to D5 in sports? 20fps in A9 absolutely can capture more critical moments than 12fps D5. Can D5 and 1Dx II allowed to take shots the moment when a golfer hitting the ball in close distance? whoops. 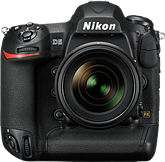 @io_gb - The Nikon D5 is the he best sports camera. More to life than just FPS. By the way, Hogan regularly uses Sony gear, too. And he thoroughly tests it before stating his opinion unlike most other reviewers out there. Well, wondering why Hogan was not invited in those camera/lens introduction events but Northrup couples were among those VIP guests? ;-) I have read bunch of Hogan articles before and I saw he was obviously biased to favor Nikon. Northrup at least is more neutral and they do own all those cameras and his wife (Chelsea) said bunch of times that D5 or D850 are her favorite cameras. Thom was invited to Sony Kando. And he actually owns Nikon, Sony and m4/3 gear. I hope make clear that I never deny Nikon fantastic 3D AF but only question vulnerable Canon AF system from a 10-year Canon owner that confirmed in all reviews and owners' experience. But it's Sony and it's A9 changed the game rules that mirrorless can actually compete to even flagship DSLRs head to head. I can see D5 still has an advantages in certain areas such as I guess basketball with busy background on its better stickiness, but A9 is also better in some other areas especially on isolated subjects with its much wider AF coverage, plus 20fps and absolute quiet shutter if necessary. With more and more AI pattern-recognition (Sony is working on animal-eye-AF) and faster and faster processors, only ML can make some revolution changes that after a few years will leave DSLRs clearly behind. A9 II will be another huge improvement while I just don't see much room DSLRs can further improve as long as their is mirrorless box and from separate auxiliary sensor. If I was investing money in a FF camera that has to work day in, day out, the D5 would beat the A9 hands down every time. I have owned a D3s and a D4. An obvious approach to getting Sports Illustrated level images of your kids' soccer game is to use the same gear that Sports Illustrated uses, such as the D5 or 1Dx2, along with a ten thousand dollar lens. This article would be more useful if it compared $1,000 and $2,000 options. For instance, Canon SL2 with 55-250mm. Hilarious! The Sony A9 in 10th place - really???? Behind these old-tech dinosaurs with their noisy flapping mirrors. I'm stunned. These DSLRs are old technology? An enginnering technology behind raising the mirror and shutter assembly 14 times a second is old technology? 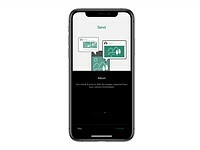 Dual Pixel AF sensor pixels? Touchscreen? Huge reliable lithium power? 4K at 60p to CFast 2.0 cards? highest quality telephoto glass on the market? Old tech? God I am SURE people don't try these things before the make up their mind, at all, not even objectively read on their +s and -s! Yes the A9 is a top spot contender for best sports beasts ever made. @Ebrahim Saadawi - "These DSLRs are old technology?" I for one will go for those " old-tech dinosaurs" for sport if I have to make my choice all over again , currently using the 1DX and D500 for sport and wild life, if they all got stolen tomorrow and I have to buy another set, I know it will for sure not the A9 or A7R III which I have tried. How DPR not listing A9 co-share with D5 for the top spot, seriously? In all reviews I have seen so far, A9 AF is already better than Canon 1Dx II which is vulnerable that once lost tracking its AF will not return in AF-C tracking. We have seen many sport and wildlife photos from pros/enthusiasts from A9 + 400 GM. A9 absolutely can capture more critical moments than both 1Dx II and D5. No DSLRs can match to A9's no-black EVF. And yet most PRO sports photographers get by with the D5. Oh well. Nice try Sony, but you still can't crack the pro market. Maybe swamping the forums with idiotic spec sheet reading morons ISN'T the best marketing method! Sure current all pro cameras are good enough for sport. Anyone with a proper training and know gear can snap some photos even with a Rebel. D5 clearly has better AF-C than 1Dx II but still at least 2:1 Canon:Nikon ratio in sport fields. Those sport PJs don't buy gear on their own or best reviewed but assigned by their employers with tight budget control these days. It will take time just as when Canon took over Nikon in 90's. Wildlife photog will move over when Sony animal-eye-AF is matured then sport PJs will be the last group moving to ML, just a matter of time, upto 10 years. But we will see. It will be another significantly improved when A9 II released with more and more AI-based pattern recognition built-in that DSLRs just cannot deliver via small separate auxiliary AF/AE sensor via an optical mirror. It's pretty obvious why the A9 isn't no.1, glass. Well, 400/2.8 GM is as good as Canikon but AF faster on A9 due to double linear AF motors. Same as FE 100-400 GM and FE 70-200 GM with dual linear-AF-motor technology. And in the mean time, Nikon and Canon sell at least 10 times more pro action cameras and lenses than sony. And no, one great 400 f/2.8 doesn't make up the difference. See, the thing that the sony people just can't seem to get, is that the results from the existing established sports and action cameras are perfectly fine. Don't need faster. Faster is for the spec sheets, which sony seems to think they can thrive on. They're mistaken. What Sony need is a great COMPLETE set of pro glass, which they don't have. I'm not "certain" of that at all. Sony are losing in the pro sports and action business. And that's despite their competitors have "flappy mirrors" and whatnot. They just don't have the system in place to take that market, and they are very limited in terms of time to capture it. If Nikon and Canon release and improve their ML cameras at a faster rate than Sony release lenses, Sony will simply lose. They won't continue to sink money into a shrinking business that doesn't get them top billing in terms of professional representation. It's that simple. Personally, I think they've already lost, but I don't really care, so I'll just sit back and see what happens. As I said all those cameras are sufficiently taking sport photos. Really not many care 12, 14 or 20fps as long as you can capture sufficient sharp photos that I agreed. But when most photographers switched to ML, Sony or Nikon or Canon or Panny or even Fuji. Then those wildlife and sport photogs will move also eventually that takes much longer time. Exactly happened in late 80's and entire 90's when pros moved from Nikon to Canon. I can see Nikon is serious as in Z7/6 that seems they don't care much to cannibalize their DSLR. Canon not sure as in poor implementation in EOS-R, basically just me too gesture. If Canon continue ignores the trends and lags behind competitors, eventually it will be too late and will pay a big price. I've shot sports with both mirrorless (X-H1, A6300) and Canon (5D, 5DIII, 5DS R). To my surprise, the optical viewfinder experience of a DSLR was infinitely better for a long game. No eye fatigue, perfect sync. Mirrorless EVF can help in really low light. It's just a drag for sports. UncoyDP - Do you know the lag time between the sensor and the EVF output for those cameras? There's a lot of research showing that people start getting fatigue and even motion sickness if the lag between the motion and the display is greater than ~15 milliseconds. They think the problem won't truly be solved until VR is down in the 5-10 ms rang which is astoundingly low. I don't know if EVFs are even near that, yet? Today's EVF is excellent such as in A9. I shot two airshow events this year and each I stayed in EVF in several hours without eye fatigue. No-blackout EVF in A9 actually has less stress to eye as even OVFs still have blackout refresh. > Do you know the lag time between the sensor and the EVF output for those cameras? I went looking for that data and found that Fujifilm claims 0.005s, i.e. 5ms. It certainly doesn't feel like it even with a battery grip attached and turbo mode enabled when shot side by side with an optical viewfinder. One of the issues is that after each exposure the EVF freezes. This is apparently a Fujifilm specific issue. I'd love to try an A9 beside my 5DIII on the same game to see if I still perceive an annoying difference. On its own I was theoretically not all that bothered by the X-H1in isolation. Yet I found my visual perception of the game much better with an optical viewfinder. It's subjective (my impressions) but empirical (two good cameras shot side by side with very good glass). The X-H1 indeed had the better glass (Canon EF 135mm L f2 vs Canon EF 80-200mm f2.8 on the 5DIII). Unlike many in these forums I don't have a horse in the race. I was lured in by the mirrorless hype myself and obtained some Fujifilm cameras and lenses (X-M1 and X-H1). I really like them for general photography but the X-H1 just didn't deliver for sports (X-M1 is not a sports camera at all so it was not considered in this test). Neither did the A6300 though strangely it did a little better (I like the X-H1 as a camera much better than the A6300 and the X-H1 has a theoretically superior 3 million pixel EVF. Once I figured out the premium photographers are paying for mirrorless over DSLR right now, I've gone back to the DSLR side and widened my Canon EF lens collection and added a 5DS R body - sold off cheaply by someone buying into mirrorless - for less than the price of any of the flagship mirrorless cameras with a single good new mount lens. It's the pictures out the other side which count, not the viewfinder (EVF or OVF). "I went looking for that data and found that Fujifilm claims 0.005s, i.e. 5ms." Wow. Yeah, I'd be stunned if the total lag time was actually that low. I think that would require a refresh rate of at least 200hz AND no lag in the processing traing from the sensor to the EVF. My guess is it's probably more like 20-25ms, in which case the fatigue and feeling of a disconnect from the action is likely depending on the sensitivity of the person using the viewfinder. I can't for the life of me why the SONY a99 II is not included in this list???? it was released in 2016. I own an A99ii and RX10iv. I love the A99ii for the IQ but the RX is a whole level better for AF tracking. How did a camera which is not yet fully reviewed end up already with the "best stabilizer in the market" ? I am pretty sure DPR staff evaluates gear before publishing reviews, not after! If deciding which stabilizer is best on the market is a seat of the pants thing and not the result of thorough testing - I'd understand. D750 Because it is the affordable full frame option. GoPro Hero 6 because the D5 is just to big to take down a steep descent with you or to strap to your helmet. Given the G9 hasn't been reviewed, can you really put it there? AF tracking capabilities need time to be understood and fine tuned, you can't just say it's good enough in a list that includes the D5 and D500 without a proper review, can you? I amsure they know what they are talking about! 7Dii is best bang for the buck here. You get 90% of the 1Dx at a fraction of the cost. A true all around beast. I've shot portraits, action, night club, and everything else in between. I'm looking forward to the next 7D and all the upgrades it will provide. It's only good if you have lots of Canon lenses like me. Otherwise the Nikons and Sonys are usually the better choice. 7DII image quality is not good, bad jpegs and poor dynamic range. If you think the 7DII has bad image quality, JPEGs, colour, noise, resolution, even raw DR? You've never shot one. Ever. And if you say you did I wouldn't believe you, you'd need a picture of you and the camera, showing the serial number, and you looking straight at the camera, wearing white non-distrating color, accompanied by a heap of sample pictures with your name. Ebrahim - It really depends very much on what you compare it with. For reference, I've owned and used (professionally) 7D, 7DMkii, 6D, 5DMkiii, and currently use 5DS, 5DMkiv and 1Dxii bodies with L glass, always shooting RAW. I don't know (or care) how these figures compare to DxO Mark ratings, but mine indicate that while IQ of 7DMkii was quite good for a sports camera at the time of its introduction in late 2014, it is decidedly poor compared to any FF camera, and test charts show it to also be inferior to more recent APS cameras from Canon, and especially from recent Nikon APS DSLRs. 7D2 is a beast. Very popular with birders and others who want APS-C. But, for most other purposes, the 6D2 or D750 are superior. Even though those are far lower-end cameras, the sensor provides an insurmountable advantage. The A6500 is glaringly missing from this list and should have been included. nope.. not with that annoying Sony buffer issue. It’s funny reading people upset DPReview didn’t list the camera they use. If you go look at what professionals in sports use the high end Nikon & Canon are go to bodies. Also the lenses they each have, like the 400 2.8, are so good it’s amazing. Sony is doing a good job in trying to catch up with the A9 & their new 400 2.8 but still not on the same level yet. Oh look, my oldie Canon 7D can shoot sports, action....etc. I know this is a list of new cameras, but the Nikon D4s is about 95% as capable as the D5, and a great used model with under 100,000 shutter count can be had for less than $3000, and it's low light capabilities are even and in some cases better than anything you can buy brand new from Canon or Sony. How is the autofokus on the D4s? It's freakin' awesome but you can have 90% of the D5 for $1,800 with the D4. Autofocus on the D4s is great. I have no problems keeping up with the action of night time HS football under the lights at ISO 6400 with a 300 f/2.8 VR AFS. The D4s has several advantages over the D4 including a much larger buffer capacity and better low light processing. You can see a comparison on Nikon's web site. Why is the Sony A99ii not on this list? Because the A-mount is dead. a99ii was released in 2016. It was released later than the Canon 1DXii, which is also on the list. I'm sure there are a few others released prior to this year as well. Was it released this year? If so, it's a huge omission from the list. It has all the prospects of the best sports beats out there. The AF, the glass, the battery, the burst rate, the buffer, the speed, everything. It wasn't released this year but neither were others that were included on the list. It's still available and I see no reason for it not to have been included given its performance. I asked the same question, after sony a7 RIII came everyone seemed to forget the A99 II. Is she smarter than you? That’s what the editor uses but he’s not allowed to say ;) Heck I might have to get one of those myself for non-A9 days. The X-T2 has very, very limited telephoto options and massively inferior autofocus, especially with those limited telephoto options. I don't think it has "massively inferior AF" but buffer is a huge obstacle. OTOH, I agree with you about telephoto options. I wouldn't pick neither Sony nor Fujifilm, if I was serious in sports photography. In my humble opinion; they still need few years to be reliable.But, it is really amazing to see progress of ML cameras, especially for action photography. x-t2? seriously? well, maybe for manual focus use, which can work very well in some sports shooting scenarios. since x-mount doesn't have any ef-mount adapter capability tho, you'd be at a big disadvantage. I think low light AF performance of the XT-2 might not be good enough for someone looking for a dedicated sports camera. "I wouldn't pick neither Sony nor Fujifilm." What does this mean? Negatives spiralling out of control. I am also unhappy that Casio wasn't mentioned here. I would never pick a Sony or a Fujifilm for sports photography either, but I sure would pick them over anything for everything else. This does NOT means it cannot be done. With effort and some workarounds and pushing, you can. Fujifilm's auto-focus system of the XT2 and XPro2 is nowhere near D500, and long glass just isn't there. A pre-requisite for a "great sports camera is affordable long glass''. Battery life? Excuse me. Sony, the AF situation is much better than Fujifilm, with those A6500 and A9 bodies, but the lens system for sports isn't there either. And I don't know anyone who'd shoot sports on a Canon adaptor. Battery life is nowhere near a DSLR OVF mode. SONY: The A99II a class leading sports camera though, including the speed of AF and glass support. Dante Birchen, I didn't say "I wouldn't pick neither Sony nor Fujifilm". What I said was "I wouldn't pick neither Sony nor Fujifilm, if I was serious in sports photography". They are totally different things. Ebrahim Saadawi, yes this is what I mean and why I shared that video, to show how capable camera Fujifilm XT-2 is. Sony mirrorless cameras are also as good, if not even better. But, for a certain type of photography, one should consider all parameters *objectively*. If I was a professional sport photographer, my choice would be Canikon. no, you are not picky. it is my bad, sorry! still wrong. You need only one negative. I would pick Sony nor Fujifilm. As I said above, it s my bad. The Olympic Games already told you which was the best camera for sports and action. No need to argue! Which camera was most used by journalists in last Olympic Games? I noted that white lenses shined throughout the Olympic Games all the time. What's the biggest selling burger in the United States? Must be the best burger there is, right?! Part of it probably goes with the "if it isn't broke, don't replace it" thought process. The Olympic committee have probably been quite satisfied with their camera brand of choice and probably don't want to risk what they already know works, and has been working for the past several (if not more) games. Now, this "risk" can go both ways (risk of finding something that doesn't perform as well, but also the risk of potentially finding something that might work even better). But with large organizations like that, it may be harder to switch than, say, a sports team who hires their own pro photographers. NASA probably didn't choose the D5 overnight. 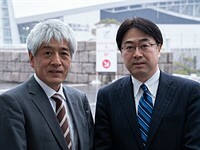 They probably had companies (Canon, Sony, Nikon, etc) bid, and probably based on some historical experience among other aspects--maybe low high-ISO noise, they chose Nikon). NASA I believe has historically used both Canon and Nikon. The Olympic committee has no control over what camera the photographers are using if they are freelance they are using their own equipment if they are shooting for an agency they are using their own equipment or the agency. There really is not much ch of a difference in performance between the D5 and 1DXMKII. The main difference between D5 and 1Dxii, as far as sports and AF subject tracking is concerned, is that the system in the D5 is more intelligent. The D5 seems to just "know" what the subject is, locks solidly onto it, and tracks it almost unfailingly. I guess that's partly down to the fact that Nikon makes better use of colour information to define the subject, and partly because it uses better algorithms to process the AF and colour data. The 1DXii isn't far behind, but it does require more thought and user input to decide what combination of AF cases, AF area modes, AF priorities etc works best in any particular situation. I've used both, and I currently use Canon (because I'm tied to the lenses, and I prefer the ergonomics), so I'm not biased in favour of Nikon or anyone else. matt - I don't want to replace them, in fact I've just bought another! My whites are fantastic lenses, optically and mechanically among the best lenses made. But, although an avid Canon user, I have no problem admitting that Nikon have a more "intelligent" AF system that is easier to use and better at tracking fast-moving or erratic subjects. I just want Canon to catch up (which they will do by the time I'm ready to upgrade my bodies). I don't know about Sony but Canon has an amazing support team at each Olympic games. As a Pro you know you'll be taken care of. Imagine prepping (2-4) years for a shoot. There's so much gear you can pack. so yeah. If your talking about 3D tracking then yeah Nikon has a awesome system but not everyone uses 3D tracking. Also once you ad a TC to the equation Canon pulls ahead both in Focus images and acquisition speed. The D5 is an awesome camera not taking anything away from it at all. Don - Yes, overall I'd rate the D5 and 1Dxii as pretty equal. Each has advantages and disadvantages, but I'm happy using either. @CCD FTW "What's the biggest selling burger in the United States? Must be the best burger there is, right?!" Wrong analogy. The best selling ILC is the Canon EOS Rebel T6 I don't see those on the press area's of the olympics. so-what-17 - Canon's marketing team were extremely clever when they decided to manufacture their best long tele and tele-zoom lenses in white. They knew very well that these white lenses would be very conspicuous whenever our TV screens showed packs of pros in Olympic stadiums and other major sporting venues. I'm surprised Canon didn't patent the idea, and I'm not in the least surprised that Sony is trying to cash in on the same idea. Minolta and thereby also Sony have had white lenses long before Canon. So actually it's the other way around. Btw. The lenses are white to heat up less in sunshine which would expand the tubus and distort the image. David Bo - Yes Canon may well have stolen the idea from Minolta, but all this baloney about white lenses not heating up etc is really just baloney. Pure marketing hype. I'll bet that the difference in expansion between a white painted lens and a black one would be so minute that it was immeasurable, and certainly wouldn't influence optical or mechanical performance. Nikon don't seem to have any problems whatsoever with having their monster primes and zooms in black livery! it is certainly not baloney. 1000mm iron elongates 0,01mm pr. degree celsius. Thats a lot considering it's an optical system with very short wavelengths. David Bo - Tell Nikon that. They continue to produce among the very best lenses available, and ALL of their super-teles and monster zooms are black. Yes, in theory, white is better, but in practice it makes absolutely no difference to the operation or performance of a lens (especially a teeny weeny little whiter-than-white Canon 70-200mm F4). Also, note that a 1000mm focal length lens is a great deal shorter than 1000mm in length, due to optical design. So the figure you quoted doesn't translate into practice. And of course there are gaps between lens sections to absorb the miniscule increase due to expansion. All great picks. A7rIII just stands out as weird/misplaced. If I put it I'd put the D850 too, but I wouldn't buy either for a dedicated sports camera. They’re both prosumer cameras, check out the Sony A9 which is actually targeted at pros. Advertising dollars hold sway in these rankings. Personally I'd rate the D500 higher than the D5 for sports action. It is more than fast enough, has wider AF coverage, more dynamic range, lighter and easier to manouevre, a lot cheaper, and has crop factor advantage that effectively increases focal lengths, substantially enabling a cheaper lighter lens to be used for the same job. both a few events are indoor so pushing th eiso for higher shutter speed for sharp image, not as a big deal in the sun or snow. "Raw dynamic range can’t match Nikon’s other full-frame DSLRs"
It can't match D500 as well. D500 is the best fast shooter currently on the market. Better AF than 1dxII; better IQ than D5 and a9 at low ISO, and at high ISO it's noise is much less irritating than the FF's due to the smaller pixel. It gets you closer without having to crop, and thanks to it's sensor pixel density(D850) images look a little bit crispier. Much underappreciated camera due to prejudices. I'm a Nikon guy but D5 is an IQ failure for it's price and class. And no fanboy excuse is going to heal it magically. The D5 is a significant, significant step above the D500 in every single way when you use both. Even the press of the buttons is more pleasing and tactile, all the way up to high ISO and AF performance. Just a better camera. At ISOs above 1600 the D500 is about the same as the D7200 or D7500.....meh. I tested side by side with used D4 and kept the D4. They can be had for $1,700-$2,000. TBH the D7500 has the same chip and the D7200 has the best high ISO performance among all APS-C chips. As a sport photographer i would also recommend an RX100 M5. Always in the pocket, ultra fast shooting and AF. and good enough IQ for double pages in magazines. Perfect to have more wide angle second camera in pocket when you already have a big camera with longer focal lengths. Really? Not everyone will have that in their pocket. @RadPhoto, he was referring to his pocket!! So sport photographers should buy that camera because it fits HIS pocket? If you're a sport photographer you know that you have a main camera with longer focal lengths. During sport event you don't have the time to changes lenses. So you need a second camera with a 24-70 or something in this range. This camera has been replaced for me by the RX100M5. I just wanted to share my experience and decision. Do you actually have to "recommend" RX10 IV under every category? Sports shooting, really? I really started to get curious about this camera's capabilities as DPReview is too keen to promote it in every case. Having RX10IV in the same category (sports) is an insult to others, no matter how capable RX10 IV is. The DP seems having closer relationship with Sony. The Sony is just like its sponsor, as an exchange for it, every Sony is DP's favorite but not user's. Yes, the inclusion of a9 and a7Riii is fully justified, even including the a99ii would be justified, all are very fast cameras, and all have very good AF tracking. But including the RX10 iv in this category is an insult to everyone's intelligence. Well it’s not going to be suitable for professionals, but where else can you get that combination of burst rate, focal length, and autofocus for $1700 or less? It has the same blackout-free burst shooting and autofocus hardware as the A9 (its burst rate is actually slightly *faster* than the A9’s due to its slightly lower resolution) with a 600mm equivalent lens, for less than half the cost of the A9 body alone. I’d argue that sports/action shooting is actually the RX10 IV’s strongest area. Even in DPR’s initial hands-on, they remarked on how much it felt like a grownup sports camera to use. Again, you’re probably not going to see many pros carrying one (except maybe as a backup) but if you don’t want to pay pro-level prices, it’s worth considering. anticpation_of - "where else can you get that combination of burst rate, focal length, and autofocus for $1700 or less?" Nikon D7500 with Nikon AF-P DX Nikkor 70-300mm F4.5-6.3G would give (full frame equivalent) circa 105-450mm range. That's more than good enough for non-professional sports/action. Burst rate 8fps. About $1400 with lens. Canon 7DMkii with Canon 70-300 F4-5.6 IS ii USM would give (FF equiv) 112-480mm range and half a stop more light than the D7500. Burst rate 10fps. Dual SD & CF cards. Bullet-proof pro build quality. Fantastic handling. Also about $1400 with lens. @ entoman - Really? 8fps vs 24fps? For a whopping saving of a couple hundies, except it has no wide capability at all, add in that wide end and you have less camera for more money, bravo! But let me guess, bigger sensor so all will be saved?! The only risk of insulted intelligence here is you. 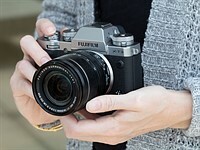 @ Ozturert - Yet you seem to have no problem with the E-M1 II and G9 making the list? CCD FTW - We are talking here about the non-pro sports/action category, where 8/10 fps is more than enough, and where there is little demand for wideangle. More important in this category is build quality/durability, options for wide primes to be hired or purchased, far greater image quality and cropping options, far superior results at high ISO, and greater dynamic range. The D7500 and 7DMkii (currently a fantastic bargain) score much more highly here. The RX10 iv is a fine multi-purpose camera, and looks good "on paper" but it isn't one that I'd consider for sports photography. Both of those setups have less reach, slower lenses, and slower burst rates, while also being much bulkier and less versatile. But they are better as SPORTS cameras! For sports, ISO1600 is usually minimum to stop action and 1" sensors are not known to be as good as larger sensors above ISO800. Iso3200 is quite a stretch for 1" sensors. Having rx10 IV in every "recommended" list at DP is a joke. RX10 IV is an excellent camera but cannot be in the same list as d500 or A9. @ Ozturert - Yet you still don’t say having the E-M1 II or G9 in the list is a joke. Skirting the question. @ Entoman - You seem to be confused. Sure at the SAME ISO the APS-C camera will outrun the 1” camera, no doubt about it. But with the lenses you suggested that actually is not the case. They are often a 1 to 1.5 stops SLOWER which means raising the ISO by that much and guess what happens then? You lose all advantage you had, both in higher ISO abilities and DR. Plus in order to get the APS-C camera to 600mm equivalent with a 300mm lens you either have to crop to 2x (same as m43’s) or use a TC (1.4x robbing yet another stop AND reducing IQ). Cropping reducing IQ again, ISO, resolution and DR. There is no free lunch. Using an f/6.3 lens (and cropping) an APS-C camera doesn’t magically make it ‘better’ than a 1” JUST because APS-C > 1”. Add the fact that your setup does not include a ‘normal’ FoV lens and the price doesn’t even add up. The RX10 IV also not only has more reach and faster burst rates and greater focus point frame coverage, but a shed load of features the others don’t. And yet here we are, DPR who have actually used the camera say it is worthy of consideration. ‘Expert’ commentator thinks they know better because they can look at DXO Mark. @entoman where can I get a 7Dmkii and 70-300 for $1400? sounds like a great bargain! Indeed. A 1 inch sensor and a f4 lens. Must be a nightmare in indoor sports. Chuckmet - 7Dii is widely available at around $1050-1100 new, if you search Amazon, ebay etc. The Amazon link on this very page has it listed at £1032. Same searches reveal 70-300 at around $350. Search and you will find! CCDFTW - No one has mentioned anything about DxO mark so what are you talking about? My comments on suitability of RX 10iv are based on comparing reviews of RX 10 iv, D7500, and personal professional use of 7DMkii. I'm a wildife photographer with no experience of sports, but the requirements of both genres are similar. @ Entoman - And again you've only compared at the same ISO. Now compare 1.5 stops lower ISO on the RX10 IV vs your 7D II and show me where it's 'better'? Sports photography is not = DxO score or ISO performance only. There are other factors like dependability, resistance to external elements, AF during erratic movement of your subject, ability to change settings fast (this requires good button resistance and feedback and customizable buttons), no delay in EVF under low light (this is still a big issue for EVF's, no matter how new) etc.. So no, RX10 IV is not a good sports camera for professionals. But it may be "OK" for an amateur with big pocket who is taking sport photos from time to time at his/her leisure. CCD FTW - Read what ozturert says! CCD FTW - This is what I'd say to you: If you are a "casual" photographer and want an excellent multi-purpose camera with a huge zoom range, and you want to take a few sports pics for a bit of fun, the RX 10iv will be fine. BUT, if you are at all *serious* about sports/action photography, don't kid yourself that the RX will cope as competently as a good DSLR (or a Sony a9, just to prove I'm not anti-Sony). Don't forget, that if at some stage your interest in sports photography becomes more serious, you'll then need to invest in a wide-aperture 300mm or 400mm tele. An ILC is a far better choice than ANY megazoom fixed lens camera. Really. I suspect Amazon has a large supply in stock and want's to move the merchandise as quickly as possible! A9 Is the most versatile of all. Fastest operation and easiest to carry. Can you say build quality, buffer and tracking, A9 is not there yet maybe version 2 in 6 months will compete. Yeah, you don't seem biased at all! "LOl! thats me in the video I have now shot over 30 extreme sports events with the A9 and I find it focuses much better than My D5 in low light. This is with the 70-200GM and 24-70GM"
you can play with the a9 70-200 f2.8, might need a 600mm (400-800mm) and some f4, f2.8 lenses telephoto in the eco-system to be consider #1 overall. Short lenses and small aperture good for normal activities of your people jogging, not good enough from professional sport, why not number 1 overall. Easy to carry with gigantic lenses, moot point, and maybe not as good to handle. I’m 6’4” with larger hands and I have no idea how you can hold the a9 with the 70-200f2.8 lens, there’s no space between the lens and grip, they’re almost touching. For a lot of sports the a9 can’t be taken seriously without a 300 f2.8 and 400 f2.8 or at least an f4 version. For golf you can’t be on top of the golfer, maybe you can get closer with a silent shutter but still not sure they’d love to have a still photographer on their tv broadcasts. Hell for tv broadcasts they even remove extra chairs from luxury seating areas if they’re not being used. To say that there's a slight Nikon bias on this web site would be an understatement. Sony A9 in 10th place.... just laughable. I’d agree that a9 at least fits in this category and in my opinion should have been at least in 3rd or 4th place but dp loves the Sony rx10 which makes very little sense in the sports category and not sure how’s it more recommend than the a9. Small sensor, big zoom lens in a huge compact camera is not as ground breaking and doesn’t take as good of sports photos as the a9. Hell the rx10 can’t even break the top 100 cameras sold on amazon USA. Obviously huge compacts are a dead market when you can buy a small interchangeable lens camera, dp needs to quit pushing a dead category. First sentence: If I am not mistaken the A7rII was the world's first full frame stacked sensor, not the A9. Full review for the A7rIII is not out yet, we need to see the comparative action shot focus results to make a judgement how the new autofocus system works compared to Nikon D5, D850 and D500. I do agree that the A7rIII along with the Nikon D850 are the two all round best cameras. But for sports, how they execute on action shot series, and especially how long their buffers can handle that many pixels without slowing down, are questions not yet answered. The full review for the A7Riii came out a few days ago. A7R II was the first FF BSI sensor. 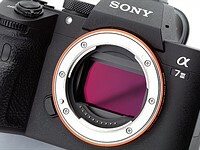 The A9 is the first and only FF stacked sensor. "When it comes to sports shooting, the D5 is virtually peerless. ... We considered all of the cameras below when picking our winner ..., all of the cameras on our shortlist are also worthy contenders." So they are only virtually worthy contenders? Doesn’t sound contradictory to me. All the cameras on the list are great, but the D5 is the best overall. The E-M1 Mark II is a fairly compact SLR-style mirrorless camera with impeccable build quality. Its magnesium and aluminum body could drive nails (not that we'd recommend that) and is sealed against moisture and dust. Why would the build quality of the E-M1 not meet or exceed the Nikon's? I've used both the Nikon D4 (not D5 yet) and the Olympus. Honestly, for sports, I would take the Olympus over the Nikon due to the cropped sensor having much more reach. It's focus is fantastic and nails shot after shot. I returned mine (mark1) to repair for the same common issue of a rear dial malfunction. Too small bodies with too many buttons. Yes EM1 Mark II has an exceptional build quality. I use it now for sport photography since February. Very good camera. .. and I have a friend who had to return an EM-1 Mkii because the Af was faulty. There's always going to be several in the manufacturing process that had problems that are not found until they make it to the consumer. That doesn't constitute the product as whole is bad. Mine had to have the main circuit board replaced. That does not mean they all needed replaced. FWIW, the original E-M1 was plagued for a while by QC issues that didn't seem anywhere near as prevalent on models that preceded it or followed it (regardless of price point)... At least based on forum impressions and complaints over time. It did seem odd a lot of people were still praising Oly for their build quality at the time yet not giving Panasonic their due, when they haven't had quite as bad a run of QC issues in recent memory. Oly still seems to have some of the best sealed bodies out there tho. 0 issues with my E-M5 II, knock on wood. Surprised D850 didn't make the list. It shoots at 9 fps with the grip, and has awesome resolution. Photography Life considers it an excellent wildlife camera. I agree. I would have thought it a better choice than the A7r3 due to faster write speeds and better AF in some respects. I have an A9 now, and an A7r3 on order--I was using the A7r2 for landscapes. I had a Nikon D810 (gift from a friend--long story) and a Canon 7D2 for wildlife. Kinda dumb to have so many different camera systems, but they all had shortcomings and tradeoffs. I just want to use whatever works. Sony made enough progress in autofocus and ergodynamics that I was able to consolidate on one system. But the D5 focus chip in the D850 is supposed to be the best there is. I've had good luck with the A9. I'm curious to shoot with the A7r3 to see if the resolution is compelling enough. For birds in flight, the speed of the A9 is a big advantage for finding the best wing pose. Birds land in like one second. The Em1.2 is....pricey. D5 not? Hmm. A7Riii should not be on this list, it just doesn't have the lens library necessary to get the shot. The Metabones and Sigma adapters are not usable for the III yet. The A9 worked like a native lens with my 200-400/4 EF, but the III worked like the A7RII, which means slow and poorly (the sigma didn't work at all). I want the A7RIII to be on this list, badly, but right now it's not yet a contender. Get the Sony 400/2.8 out or update the metabones and sigmas to work and the story will be different. Agreed. a99II should take the place of a7RIII on this list. Same megapixel but a99II has faster frame rate, along with 300/2.8 and 500/4 G lenses in the lineup. Interesting that people mostly focus on the now when looking at camera investment. Yes, the e-mount system doesn't have the wide selection of telephotos yet. Key word being yet. But if you're going to drop thousands of dollars on a system then I would think you could afford to look to the near future which will see the 400 2.8. So, I dont think it would be a good idea to recommend investing in a system (a-mount) that is likely to receive very little support in the future. The A7Riii is right up there with the d850 as being the best all around camera on the market today and in the top tier as a sports and action camera. Because you can't get results you need today by looking at a lens that won't even be released this year? A99II may be a last hurrah but it has the very well regarded 500/4 and 300/2.8. If you're going to recommend cameras that will work well in the future you may as well recommend the Nikon D6 and Canon 1Dx Mark III. So what you're saying is that if given the choice between something that is already arguably better and has the potential to become even more so, you would choose the lesser that will never get better? thenolif... a99II is same resolution as a7RIII, with higher frame rate, existing proven NATIVE lenses new and used, fully articulating lcd, full front controls, full vertical controls, widely compatible battery available by third parties. AMount ergonomics refined since 1985 six different 9 series cameras. What exactly makes the a7RIII "arguably better" in any way? The AF system for one, Pixel shift, much lighter, much higher resolution viewfinder, higher resolution touch screen, more compatible with legacy lenses. All the things (cept for one) that have nothing to do with this sports/action thread. After using a99II, you might question if a7RIII AF is better, or just barely catching up. Given the choice that one has right now, with products as they stand, yes. Buying something *unsuitable* as it sits currently, with a (great) chance that it will improve, is not a wise maneuver. How can you get any shots until the time that it actually works well? If you must go after a Sony solution for sports, choose the A9 with adapted long lenses or the A99II. But however good the A99II is, the sun is setting on that system, so if I were to plunk down my money on any sports body with a long lens combo right now, it's probably the D500. Reasonable price, great lens library, cheap enough to be able to sell once long native lenses come out for the A7R3 and A9, if that's what you want. I have the 7Dii and it has been a reliable workhorse for all my photography needs! ... and it's due to be replaced by the 7Diii next year, so at the moment the 7Dii is a massive bargain. I am a sports shooter, shooting cyclocross races and use the Sony A77ii and A99ii. Both are phenominal and have great AF. I get a high percentage of keepers. I don’t really understand the hate about the 7D2 and tracking, I shoot runners, bicycles, sports cars and super cars, all at speed, and rarely miss focus. There is an A9 video below and they are all amazed at how many frames are in focus from a runner, and I’m thinking “really??”. I do those types of shots repeatedly at weekend and the 7D2 (and 7D) keep up perfectly. IR1234 - I agree that for motor sport and many other subjects the burst rate and AF speed of the 7DMkii are perfectly adequate (come to that, the 7fps of my 5Div copes perfectly with most things). However, there are some subjects where much faster burst speeds are truly advantageous - prime examples being birds in flight, where the tiniest fraction of a second can find the wings in the "wrong" position; or galloping wild animals, where a tiny fraction of a second can make a vast difference to an image, due to the different positions of the animal's legs. For these reasons, I look forward to the day when Canon bring out a FF mirrorless that accepts EF lenses, and offers the 20fps burst mode that is unachievable with a mechanical DSLR. Sony fans would probably suggest using Canon lenses on an a7Riii or a9, via a metabones adaptor, to achieve this, and that is a solution that some people have success with, but I prefer Canon ergonomics.